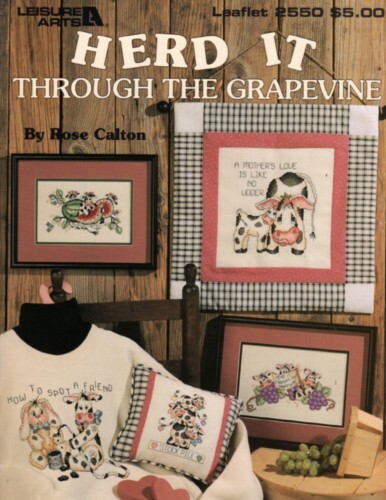 Leisure Arts Herd It Through The Grapevine Cross Stitch Pattern booklet. Rose Calton. Stockpile, A Mother's Love, Herd It Through the Grapevine, Watermelon Patch, How to Spot a Friend, Tomorrow Is, Moo.